Toddler Sense classes provide a fantastic opportunity for learning through play experiences which will capture your toddler’s imagination. The main emphasis is on mobility, excitement and adventure. The classes include great music, gym equipment, bouncy castles, games and new ideas! Imagine climbing a snow mountain, going on safari, digging for fossils, swimming with dolphins and hunting for dinosaurs…every week introduces new activities and a whole new adventure. The Toddler Sense session starts in our exploratory play area which is set out differently each week. Children enjoy scrambling over obstacles, balancing on steps and blocks, crawling through tunnels and climbing over the trestles and ramps. They also enjoy putting the equipment away after play. Each session is different and the equipment for the session has been specifically selected to match the theme. What may look like a balance beam to you will be transformed into a bridge that crosses a crocodile swamp and the following week into a plank for your young pirate to walk across. We start each session by introducing the theme and then suggest ways in which you can bring this part of the session to life for your toddler. Adventure play is followed by structured, themed activities, which provide a wealth of ideas that can be continued at home. Expect things like creative dance, parachutes, pom-poms, coloured ribbons and more. 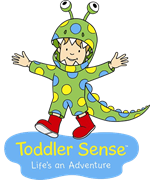 Toddler Sense introduces children to a whole new world of adventure and challenge that will lead learning and development forwards, and motivate children to try out new skills. Whilst packed with fun, the underlying educational value of the programme is that every session and every single activity within, has been designed by Dr Lin Day to enhance learning and development in the following areas. Toddler Sense classes run in terms which can be joined at any time, as long as there is space on the class. The cost is £6 per session for a full term of classes. Twins / second children are half price. Prices include unlimited free entry for you and your child to Little Stars & The Milky Way Adventure Park. So you can visit as often as you like, including at weekends and school holidays! To book a taster session or book on to a Toddler Sense class visit the Baby Sensory website here.